The April 12 bypoll was cancelled by the poll body over the alleged use of money power. 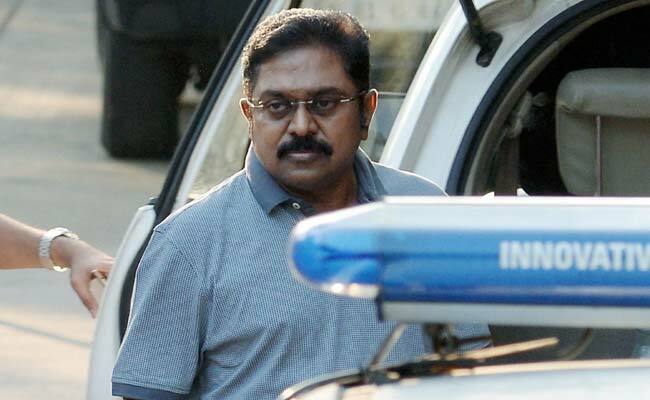 AIADMK (Amma) candidate TTV Dinakaran was arrested on charges of bribery in April. Chennai: The bypoll to RK Nagar Assembly constituency in Tamil Nadu could not be held within the stipulated time period of six months as the ground situation has not improved, the Election Commission has said. "The by-election would now be held when the situation in the constituency concerned becomes conducive to the conduct of free and fair election," an EC communication said today. "It is not possible to conduct the by-election within the time limit set, i.e six months from the date of occurrence of the vacancy, caused due to former Tamil Nadu chief minister J Jayalalithaa's death on December 5, 2016," it said. The six month period as mandated under the Representation of the People Act, 1951 expired on June 4, the EC communication released to the media by Tamil Nadu Chief Electoral Officer Rajesh Lakhoni said. by-election following "distribution of money and gift items by candidates and political parties to bribe the voters seeking electoral favours." We are constantly monitoring the situation but the ground situation in the constituency has not improved, it said. Mr Lakhoni had also submitted a report to the EC recommending to "extend the period for holding the by-election", it said. Subsequently, EC had informed the Central government last month explaining the "difficulties" in holding the bypoll within six months as mandated in the Representation of the People Act, 1951, the Commission said, adding the government in a June 2 letter concurred with the view. "Now, therefore, taking all relevant factors into account, the Commission hereby certifies that the process of the by-election to the Legislative Assembly to fill up the casual vacancy could not be held within the period contemplated under Section 151 A of the Representation of the People Act, 1951," it said. AIADMK (Amma) Deputy General Secretary TTV Dinakaran was the faction's candidate for the election, while rebel Puratchi Thalaivi Amma camp led by former chief minister O Panneerselvam had fielded E Madhusudanan. The cancellation of the by-poll was announced on April 9 with the EC taking a firm view and saying the electoral process had been "seriously vitiated" by parties the use of money power.